You may remember last week when we told you about a new jailbreak widget for iOS 5’s new Notification Center called WeeTwitter, which once installed brought your Twitter stream, @-replies and more to Apple’s notification system. Today the same developers have announced the release of a widget that works along the same lines, but this time bringing Facebook to the party. Perhaps expectedly named WeeFacebook, the new widget is available to download for free right now for those who are of the Facebook persuasion. WeeFacebook and WeeTwitter are the latest in a line of widgets put together by independent developers that take advantage of the new Notification Center inside iOS 5. While Apple is yet to confirm that widgets will be available to third-party developers in the App Store, we can’t help but assume the company is aware of the possibilities widgets create. Obviously you’ll need to be using a jailbroken version of Apple’s iOS 5 beta in order to take advantage of these new widgets and unfortunately neither are available through Cydia. That means installation needs to be done manually and although there aren’t too many steps to follow, it’s certainly not as easy as usual. Step 1: Install MobileTerminal app which is found in Cydia, and then set up iPhone Explorer on your computer (find out how here). Once you are done with that, plug your device into your computer. Step 2: Now on your computer, download this .deb file, then run iPhone Explorer and copy/paste the file you’ve just downloaded into /var/mobile directory. After a restart you should be done! 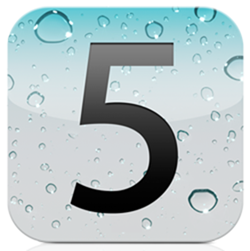 If you’re currently running iOS 5, there are several tethered jailbreak solutions available, namely Redsn0w by the iPhone Dev-Team (check out our guides for Mac and Windows) and Sn0wbreeze for Windows by iH8sn0w (check out our guide here). If you’re looking for a untethered jailbreak, don’t get your hopes up, since we might not see one anytime soon unless you happen to be using an iPhone 3GS.